Rectangular steel bins with black plastic lids and pedal mechanism. 3 x 11 litre bins H x W x D: 440 x 470 x 250mm. 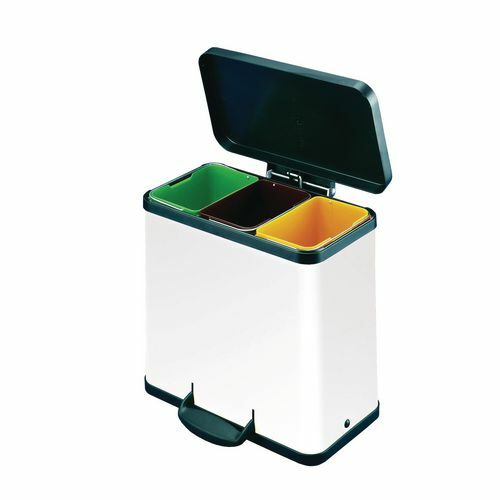 2 x 11 litre bins H x W x D: 440 x 320 x 250mm."